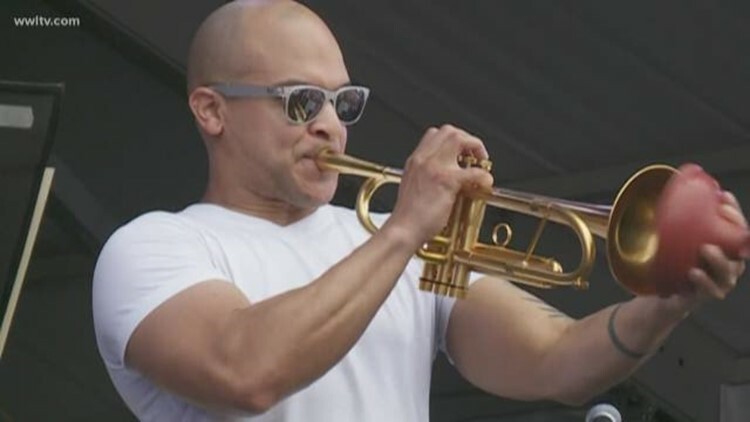 Irvin Mayfield faces 23 felony counts and his partner, Ronald Markham, has been charged with 22 counts for allegedly lining their pockets and supporting their jazz orchestra with more than $1.3 million from the New Orleans Public Library Foundation. NEW ORLEANS - The federal conspiracy and money laundering trial of Grammy-winner Irvin Mayfield and his longtime business and music partner has been pushed back to April 29, 2019. Mayfield faces 23 felony counts and his partner, Ronald Markham, has been charged with 22 counts for allegedly lining their pockets and supporting their jazz orchestra with more than $1.3 million from the New Orleans Public Library Foundation. The duo was indicted in December 2017 following a years-long federal investigation and a series of reports by WWL-TV in 2015 and 2016 showing how Mayfield and Markham used their positions at the city’s library charity to change that foundation’s mission, enhance their own financial powers there and send library-support funds to another nonprofit they ran, the New Orleans Jazz Orchestra. In 2015, Markham told WWL-TV the money from the Library Foundation was used to build the Jazz Orchestra’s New Orleans Jazz Market in Central City, with the idea that it would serve, in part, as a music library branch. But federal prosecutors allege the money went not to the market, but to the cash-strapped orchestra’s operating expenses and into Mayfield and Markham's pockets. The indictment details hundreds of thousands of dollars that went to fancy trips for Mayfield, including swanky hotels, limo rides, room service, liquor and even a $1,400 breakfast. Tens of thousands more in Library Foundation funds allegedly paid for a gold-plated trumpet and fees for the orchestra to perform shows in New York and Chicago. The trial was originally scheduled for Oct. 22, but court records show the defense and prosecution jointly asked for the delay. They spent most of 2018 arguing about whether the timing of the indictment had been leaked to WWL-TV and if Markham and Mayfield should be allowed to leave the country for a jazz festival. Over the summer, judges ruled our reporting did not compromise Mayfield and Markham’s defense and allowed them to travel to South Africa. Only recently did the two sides finally start the process of “discovery,” where the prosecution must turn over documentary evidence it plans to introduce at trial. Court records show the government started turning over working papers from a state legislative audit of the jazz orchestra.